Welcome to Yorkshire Activity Centre – The No. 1 Activity Centre in York! Yorkshire Activity Centre is the ultimate in outdoor adventure activities in the Yorkshire area. We offer the very best in archery, axe throwing, air rifle shooting, bushcraft, quad biking and crossbow shooting. We provide the best activities at the best price. With over 15 years experience, you are in the best hands. Find an activity and book online today. 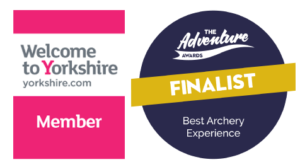 No matter what action packed activity you and your friends choose, you are guaranteed a day to remember at Yorkshire Activity Centre, York. Kids parties, corporate groups and stag and hen parties welcome! If you would like to know more information about our activities in York or to book specific requirements, please get in touch with our team. Have a go at this ancient art using modern recurve bows, designed for taster target Archery. 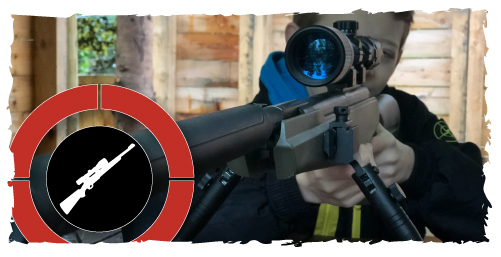 Our Air Rifle Shooting sessions are perfect for beginners. Have a go under the guidance of our fully trained instructors. You will experience the best Axe Throwing in Yorkshire on our range with lots of fun games and competitions. 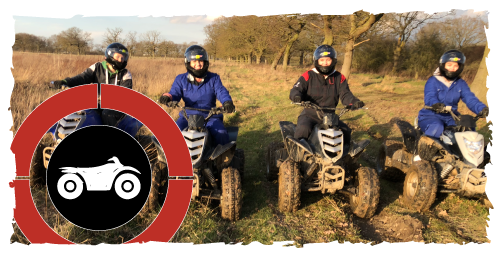 On our sessions each person will get their own e-ton/polaris quad bike and head off into the open country.